“You might be on borrowed time,” warns the mayor of a New Zealand city where a 2011 quake destroyed unretrofitted brick buildings and killed 185 people. Retrofitting old buildings may be expensive, she said, but it costs less than the liability for injuries or fatalities. 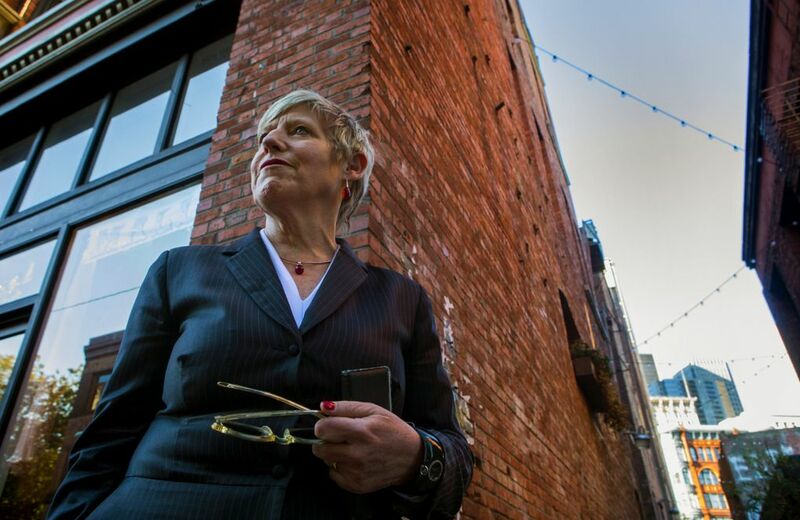 As Lianne Dalziel strolled through Pioneer Square on an afternoon in late fall, she cast a wary eye at the century-old brick buildings that give Seattle’s original neighborhood much of its charm. Dalziel is the mayor of Christchurch, New Zealand, which used to have a similar historic district before an earthquake reduced the trendy pubs, restaurants and art galleries to rubble. But Seattle’s decades-old effort to strengthen vulnerable buildings remains stuck. It’s been five years since an advisory committee recommended mandatory retrofits for unreinforced brick and stone buildings — the type of construction most likely to topple in a quake. There are more than 1,100 such buildings in Seattle and thousands more across the state. Legislation to require retrofits in Seattle was expected by early 2013 but has been repeatedly postponed. Instead, officials commissioned an economic analysis and ordered up yet another building inventory, the ninth such count since the 1970s. In August, the advisory committee again recommended mandatory retrofits in an almost word-for-word reiteration of its 2013 report. Senior building and emergency management officials briefed the City Council in October. But they acknowledged they are no closer to overcoming the obstacle that has stymied progress for 40 years: Finding a way to help building owners pay for the upgrades. So Graff is venturing beyond her main job of prepping for emergencies and wading into the unfamiliar world of banking, finance and tax breaks in search of a solution. City officials have said they won’t present draft legislation on mandatory retrofits to the council until 2019 — and not before they pull together a package of financial incentives. The slow pace is frustrating to seismic-safety advocates, who have been raising the alarm for decades. California, the only state with a higher earthquake risk than Washington, began tackling the threat in the late 1980s, and most cities and counties long ago imposed upgrade requirements. Portland’s City Council is poised to vote on mandatory retrofits early this year, even though the city only started working on the issue a few years ago. Mayor Jenny Durkan’s office did not respond to requests for comment. Citywide, about 33,000 people live, work, eat or attend classes in unreinforced masonry buildings at any given time. The structures range from five-story apartments and commercial complexes to low-slung mom-and-pop stores. Many building owners are reluctant to fortify their buildings, arguing that they can’t afford to retrofit without raising rents. Others are waiting until the city takes action, worried that they might later be required to perform additional work. A few, worried that an earthquake will strike sooner rather than later, are upgrading voluntarily. A recent analysis underscored one of the conundrums for an urban area facing an epidemic of homelessness and skyrocketing costs for housing: If seismic retrofits raise rents or lead to demolition of old buildings, the burden will fall disproportionately on communities of color and low-income people. But when the next earthquake hits, the same population is likely to pay the highest cost in terms of lives lost, injury and displacement. “Inaction on retrofit can have a devastating impact on these communities,” the city analysis concludes. In another example of the city’s dueling priorities, a proposed rule would ban the use of unretrofitted brick buildings for emergency homeless shelters, yet more than 2,000 low-income residents live in unretrofitted brick buildings partly financed by the city’s Department of Housing. And while the city requires low-income housing to meet a wide range of safety standards, seismic safety is not among them when it comes to older buildings. Old brick buildings are also common in Everett, Tacoma and other cities and towns. Washington’s recently passed capital budget includes $200,000 for a statewide survey. Like Seattle and Washington, New Zealand failed to act on past warnings about the dangers of unreinforced masonry, Dalziel told city officials. A 1931 earthquake on the country’s northern island leveled two cities and killed 256 people, most of them struck by brick walls and parapets. It was only after the magnitude 6.3 quake in 2011 destroyed 97 percent of the unretrofitted brick and stone buildings in Christchurch that New Zealand enacted a national law requiring at least a basic retrofit for most unreinforced brick and other earthquake-prone buildings. 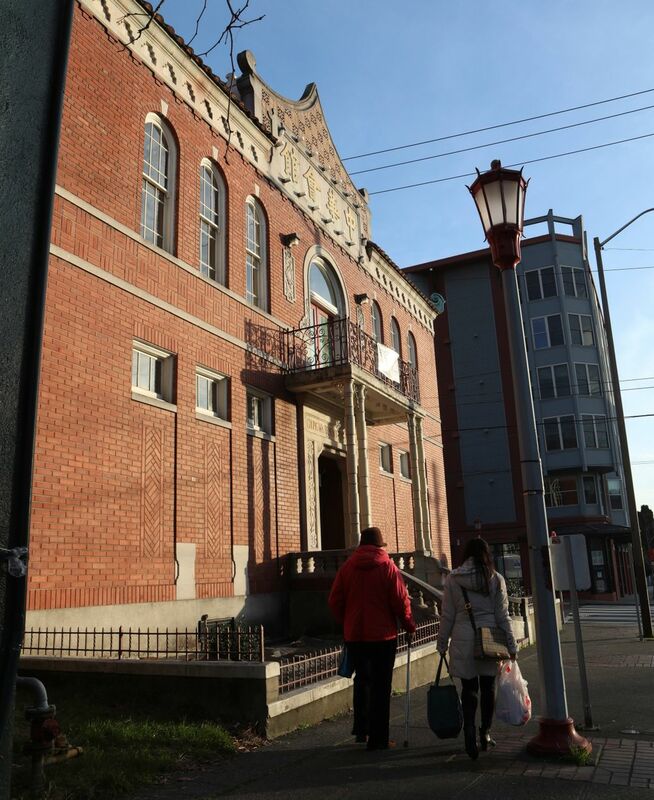 Under the mandatory-retrofit proposal being rolled out again in Seattle, owners of the 76 buildings considered at critical risk — mostly private schools — would have seven years to upgrade. Owners of the 183 buildings deemed high-risk because of their size or location on unstable soils would have 10 years. The timeline for the nearly 900 other buildings would be 13 years. The clock won’t start ticking until the city approves a policy, meaning the retrofits wouldn’t have to be completed until 2026 to 2032 at the earliest. To keep the costs low, the city is suggesting a modest retrofit standard. Owners would only be required to brace rooftop parapets, connect floors to walls and strengthen some weak walls. Estimated costs range between $5 and $60 per square foot. At $45 per square foot, which Siu says is an average, retrofitting a four-story, 20,000-square-foot apartment building would total nearly $1 million. Retrofitting all of the city’s dangerous brick buildings could approach $1 billion, Graff estimated. Schools: No mandatory seismic evaluation for schools. About 386,000 public-school students — one of every three enrolled — live in earthquake-prone areas and attend schools that were built before seismic standards were adopted statewide, according to a Seattle Times analysis. Buildings: No state requirements or grants to retrofit buildings. At any given moment in Seattle, about 33,000 people may be inside an old, brick building — the most vulnerable to earthquakes — that hasn’t been retrofitted, according to city data. Bridges: As of early 2017, the state Department of Transportation had spent almost $200 million retrofitting bridges since 1991, and estimated it will cost well over $1 billion to finish the work. 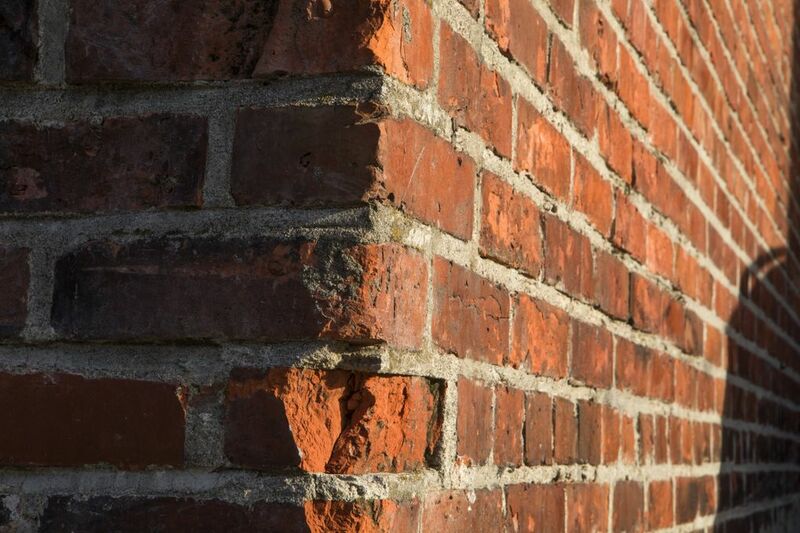 Seattle’s first attempt to require retrofits for old brick buildings in the 1970s was quickly repealed when owners objected to the cost — and that dynamic hasn’t changed over the years. Capitol Hill Housing, a public corporation organized by the city to provide low-income apartments, owns 10 unreinforced brick buildings. Rents are about half market rate, and raising them to cover the cost of retrofits is not an option, said Brad Lange, director of asset management and acquisitions. 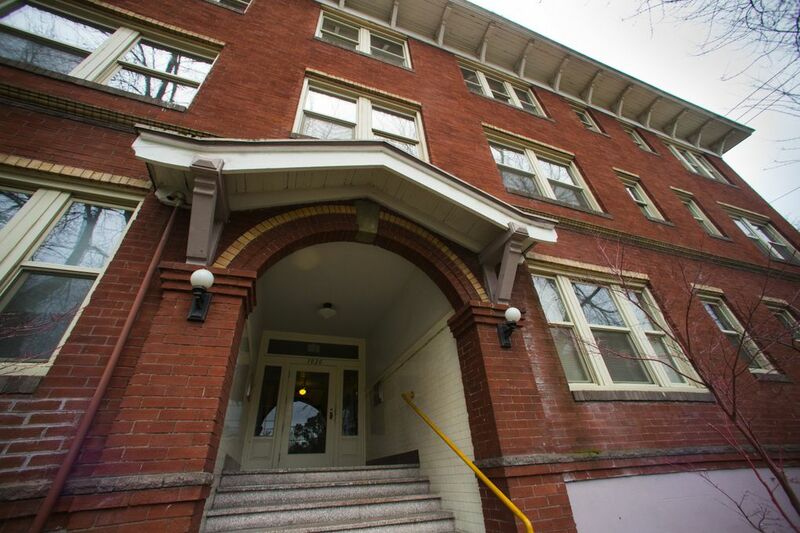 Virginia Mason Medical Center owns two large unreinforced-brick buildings near its First Hill campus — the Chasselton Apartments and the Inn at Virginia Mason — but is not planning to retrofit them until the city finalizes its standard. “We believe engaging in upgrade activity before clarity with these standards is not prudent,” said Gale Robinette, a hospital spokesman. The buildings could be demolished to make room for the hospital’s expansion, he added. John Goodfellow, who owns a 1912 unretrofitted brick apartment building on Capitol Hill, says he doesn’t necessarily object to the cost, since most owners would have at least a decade to complete the work. But he worries many historic buildings will be torn down and replaced with glass towers, even though the next damaging earthquake might not strike for a century. “We’ve had quite a few earthquakes since 1912 and these buildings have withstood them,” he said. Geologists say quakes that struck in 1939, 1946, 1949, 1965 and 2001 were minor compared to the magnitude 9 megaquake that lurks in the region’s future or a quake on the shallow Seattle Fault. In California, a 1986 state law required local governments to evaluate and reduce the risk from old brick buildings. Statewide, more than 98 percent of jurisdictions have complied with the law and 134 have mandatory retrofit ordinances. In Los Angeles, which offered no financial incentives, 16 percent of the structures were demolished. In San Francisco, where voters approved a $350 million bond fund to provide low-interest loans for retrofits, the demolition rate was 5 percent. Oregon’s Legislature approved a bill last year that allows local governments to waive property taxes for retrofitted buildings. State lawmakers also gave cities and counties the authority to issue bonds for loans. 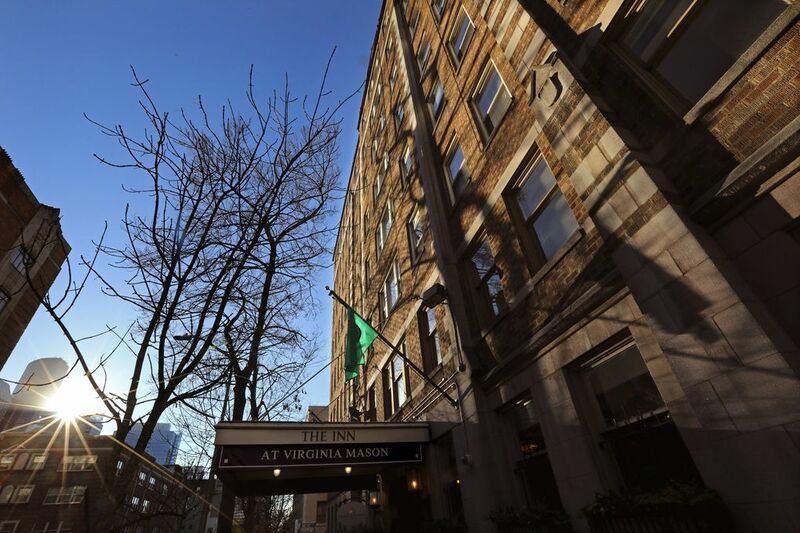 Still, building owners mounted fierce opposition to mandatory retrofits in Portland. 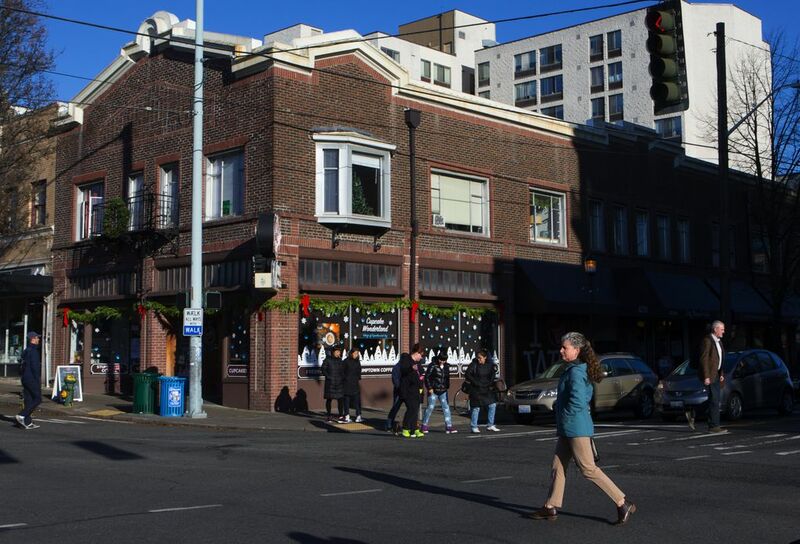 As a result, the proposal the City Council will take up this year requires less extensive upgrades for most buildings than Seattle’s proposed mandate. “The aspirational goal we had for this, which was to upgrade buildings to a life-safety standard, that’s clearly off the table,” said former Portland Bureau of Emergency Management Director Carmen Merlo. In Seattle, Graff is reaching out to banks and insurance companies, to see if they might offer low-interest loans to mortgage-holders or reduce premiums for retrofitted buildings. She’s even appealing to philanthropies. Many financing options, like property-tax relief, would require state legislative action. But when Rep. Eric Pettigrew, D-Seattle, introduced a bill in 2016 to establish a revolving loan fund for seismic retrofits, it fizzled. 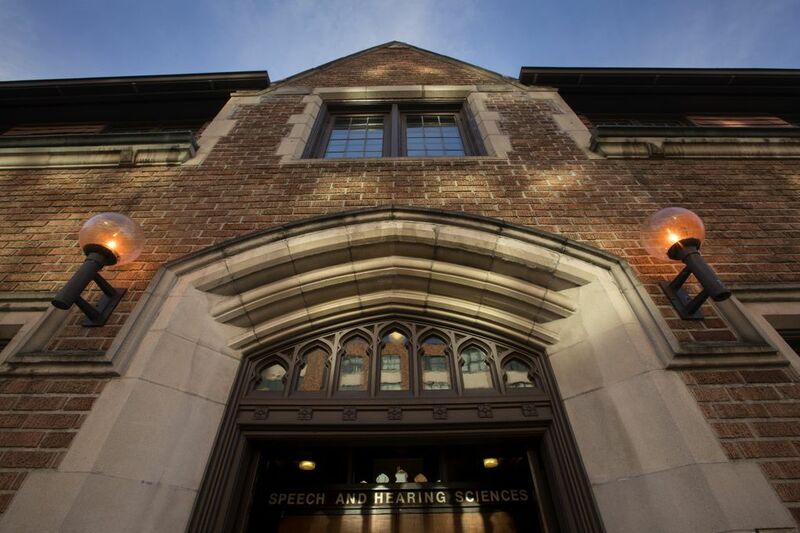 Financial assistance can be easier to come by for buildings with historic significance. 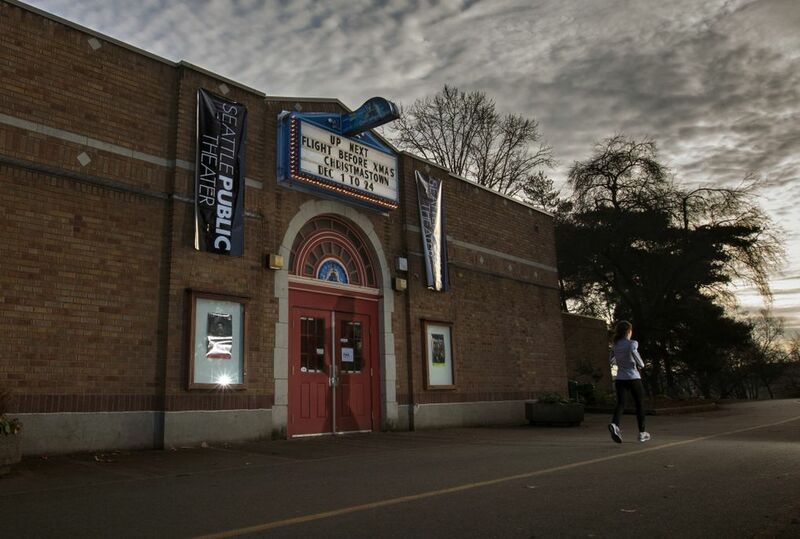 When King County’s cultural funding agency 4Culture offered grants in 2015 for some seismic upgrades, Laurie Lohrer decided it was time to stop waiting for the city to adopt standards and proceed with an upgrade of the 1905, two-story brick building she and her husband own in the Ballard Avenue Landmark District. She patched together $120,000 in historic-preservation grants, enough to cover about a quarter of the cost of a $430,000 retrofit. Contractors tied the walls to the floors and roof, installed steel bracing inside the storefront window, stabilized the parapet and refurbished the mortar. It took three months. Most of the tenants, including an architect, photographer and tech startup, were able to stay put during the process. After the work was done, the outdoor retailer Filson moved into the ground floor. While officials scramble for financial incentives that will help cut the cost for other building owners, one part of the equation has received less attention: the possibility that building owners could be held liable if people are killed or injured in a quake. 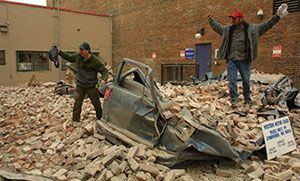 In California, an appeals court in 2010 upheld a $2 million award over the deaths of two women crushed by a brick building in the 2003 Paso Robles earthquake — even though a city ordinance didn’t require a retrofit until 2018. Building owners also paid millions of dollars to the families of workers killed when a brick wall in San Francisco collapsed onto a parking lot during the 1989 Loma Prieta quake. In Christchurch, where 42 people were killed by falling brick, virtually all the unretrofitted brick buildings are gone, Dalziel said. But other New Zealand cities are now grappling with national regulations that require upgrades for the most dangerous buildings within 7.5 years. 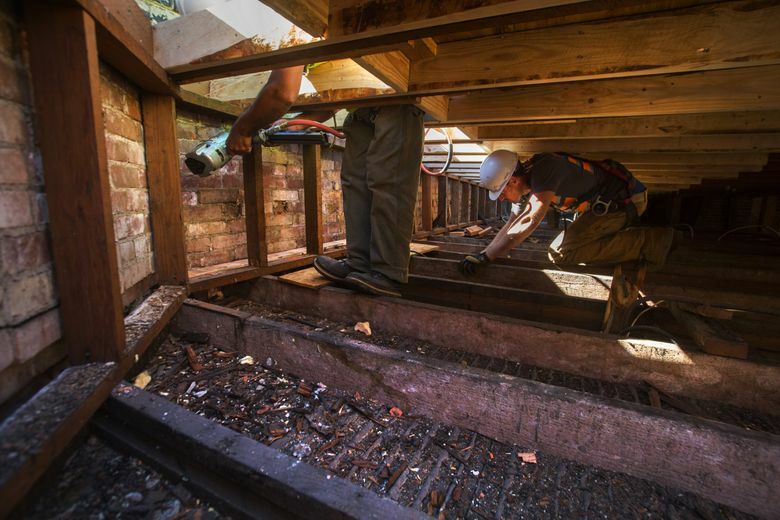 Retrofits benefit the public in terms of safety and preservation of historic character, she said, so it’s only fair to provide public funding to defray the cost. But it’s also important to keep in mind the toll seismic destruction can take on individuals and the economy. The sole survivor on a bus crushed by a brick wall in Christchurch estimated the medical bills for one of her injured legs topped $500,000, Dalziel told Seattle officials. The estimated cost of tying back the building’s facade, which the owner had refused to do, was about $200,000.